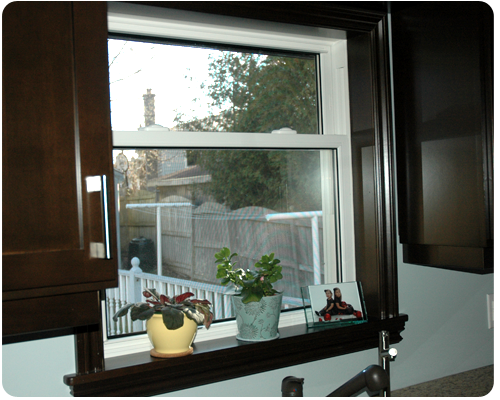 A year and a half ago we renovated our kitchen extensively and since then my kitchen window has been naked. 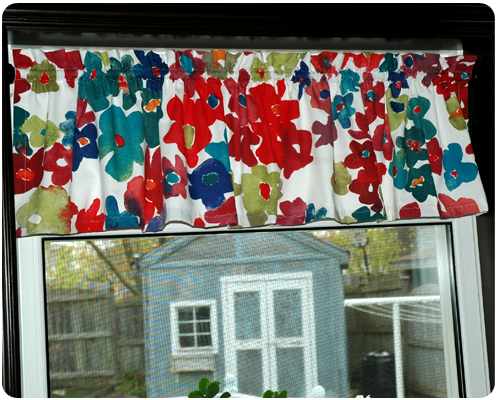 I wanted to add a splash of color and personality to the space so I decided to sew a simple valance. I always wash my fabric before I sew. I don't want to go through all the effort of sewing something only to wash it and have the color run all over the place; better to find that out when all you have is a piece of fabric. 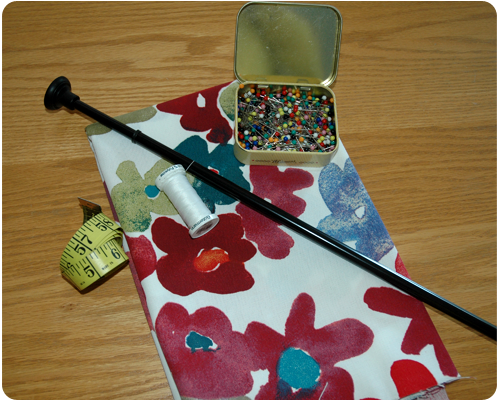 To begin, I assembled my supplies: fabric, curtain rod, pins, thread, measuring tape, sewing machine. The amount of fabric that you need depends on your window size. You want the fabric to gather, but the amount of gather (or fullness) is really a personal preference. It can also depend on your fabric. If you have a very large or symmetrical pattern you may want to make your curtain less full so that the pattern is visible. If your pattern is small or the design is random you can make your valance fuller. 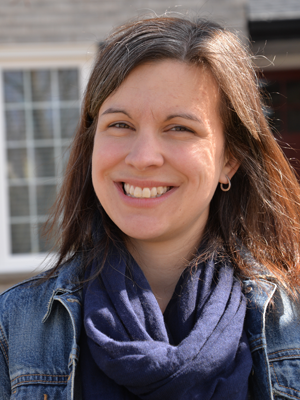 Bottom line: it is really up to you and how you want your valance to look. 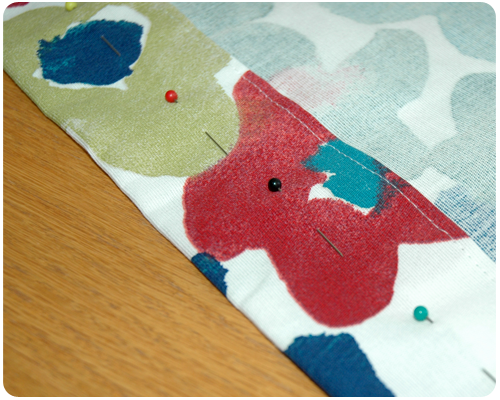 Step 1: Pin and sew side seams. If they are raw edges, fold over 1/2 inch first and then fold again to hide the raw edges. On my curtain the side seams were finished since I used an entire width of fabric, but they said "Ikea of Sweden" on them. I folded the sides over far enough to ensure that this writing was on the back of my curtain. 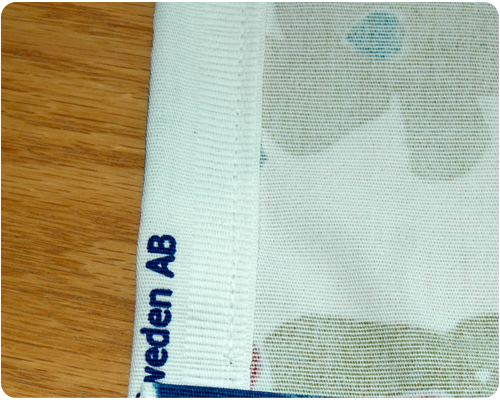 A typical side seam would be about 1/2 inch. 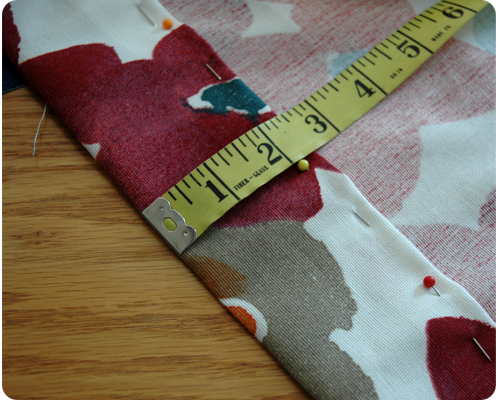 Step 2: Measure your curtain rod to determine the width of rod pocket (where the rod will be inserted) needed. My rod was 1/2 inch wide so I needed a 5/8 inch rod pocket to allow for the rod to slid in easily. You want your rod pocket to be only slightly wider than your rod; if it is too tight, the curtain will look crammed on the rod, and if it is too loose the curtain will not gather as nicely. Step 3: Fold the top edge of your fabric over about 1/2 inch (this fold will hide the raw edge), and then fold the top edge down again towards the center of your fabric accounting for the width of your rod pocket and the amount of fabric that you would like to have above the rod. Since my rod was 1/2 inch wide, I folded my fabric over 2 3/8 inches to allow for a 5/8 inch rod pocket and about 1 1/2 inches of fabric above the rod. Pin. Sew along bottom fold. 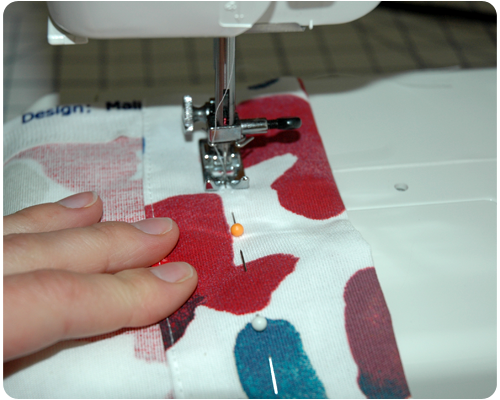 Step 4: Knowing the width of your rod pocket, measure that distance from the line of sewing that you just completed toward the fold and pin this point as you move along the length of your curtain. I measured 5/8 inch from the line of sewing that I completed in step 3. (My rod pocket needed to be 5/8 inch). Sew along line of pins. Your rod pocket is now complete. Step 5: Insert rod into rod pocket and hang curtain. 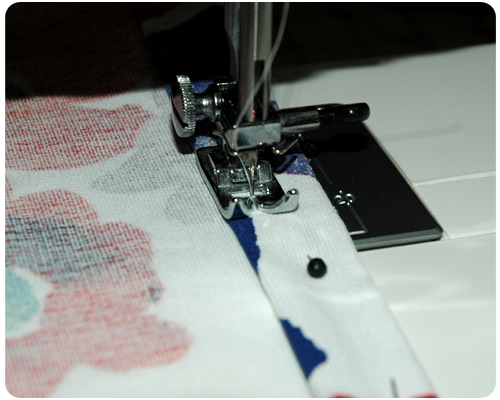 Determine the final length that you would like the valance to be and pin the fabric at this length. Step 6: Returning to your sewing table, measure 1 inch from the line of pins you inserted in step 5 (when curtain was hanging and you were determining the final length). Cut excess fabric off at this line, fold bottom edge over 1/2 inch to hide raw edge, and then 1/2 inch again. Pin. 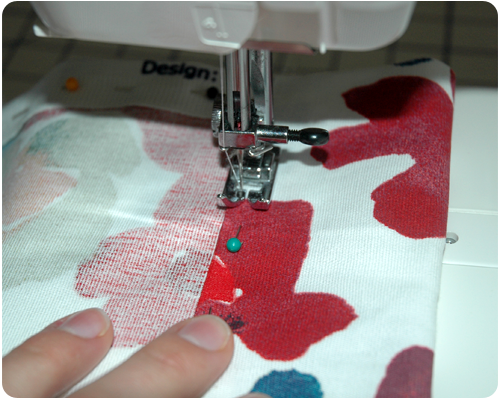 Step 7: Sew hem along fold. You can use a "straight stitch", but I like to use the "blind hem stitch". Step 8: Press and hang valance. Marvel at the color and personality that it brings to your window and room. I am very happy with how my valance turned out. The kitchen feels much cozier now that the window has something to wear. Alas, her room will look like a magazine spread (minus the messy bed, toys everywhere, books on the floor, etc.). Glad this post helped you Sherry. Thanks so much for reading. That is a very unusual window, with the top pane being so much smaller than the bottom one. Thanks for the tips.